Want a Literary Agent to Critique Your Query Letter? Welcome to Agent Pitch Critique! Most writers believe getting a literary agent will be the hardest part of their publishing journey. And writing that query letter? Forget about it. Writing a query means condensing months – and sometimes years – of your hard work into one concise yet engaging letter. It’s your chance to shine and woo the person who has the power to make all of your writing aspirations come true. No pressure then, huh? Wouldn’t it be nice if you had a friendly and knowledgeable literary agent friend on speed dial to look your pitch over before you sent it out into the world? Welcome to our very first Agent Pitch Critique – a 24-hour online event dedicated to making your query as good as it can be. 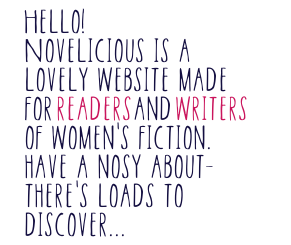 From 9am on Tuesday 3 February, you will have 24 hours to post your query letters in the comments of a dedicated post on Novelicious. Throughout the event, literary agent Madeleine Milburn will critique each one, offering ideas and advice on how to hone and improve. As an added bonus, if Madeleine likes the sound of your work, she will request a full query and sample chapters! The Madeleine Milburn Literary, TV & Film Agency is a boutique, London-based agency, with a reputation for finding and launching new writers. Representing a wide range of fiction from literary, crime and thrillers, psychological suspense, horror, women’s, historical, new adult and young adult, to middle grade and children’s books, Madeleine’s current clients include Victoria Fox, C. L. Taylor, Anouska Knight and C. J. Daugherty. Madeleine is actively seeking new clients (including self-published authors), so get working on polishing your pitches and we’ll see you back here on Tuesday 3 February. If you have any questions, please feel free to leave them in the comments.